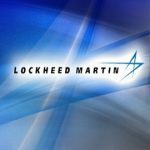 Lockheed Martin (NYSE: LMT) will delay a final decision on a spinoff or sale of a bulk of its information technology and government services businesses until the end of March in order to review offers from potential buyers, the company’s chief financial officer told investors Wednesday. Bruce Tanner told the Credit Suisse Industrials Conference in West Palm Beach, Florida Lockheed started to examine the IT and services areas nearly a year before the company started to entertain a potential acquisition of helicopter maker Sikorsky from then-owner United Technologies Corp. (NYSE: UTX). Increased competition in the government IT and technical services markets, agencies’ emphasis on price in contract awards and slow-growth outlooks led Lockheed to examine its work in those areas, Tanner told investors. “This has become a marketplace where past performance does not have much precedence on future awards as it once did. It’s truly a cost shootout and what we saw was more entrants into this businesses as single-model businesses, ” Tanner said. Lockheed announced in July it would review of its information systems and global solutions segment that houses much of the company’s IT and services work for civilian and healthcare customers in conjunction with the now-closed $9 billion purchase of helicopter maker Sikorsky. Tanner made his remarks to investors nearly three weeks after BAE Systems PLC said it would hold onto its U.S. government services business after it received external interest in that segment and L-3 Communications (NYSE: LLL) has targeted this year’s end for a sale or spinoff of its national security solutions segment, which offers cybersecurity and technology services to intelligence and military agencies. L-3 recorded an estimated $491 million writedown in its third quarter from the NSS segment, which posted $1.2 million in 2014 sales. News of Tanner’s comments on the extended IS&GS review was first reported by the Wall Street Journal, which cites analysts as valuing the IT and services businesses up for a spinoff or sale at around $4 billion. Shares in Lockheed swung from negative territory to a intraday gain of 25 cents one hour after the Journal posted its report at 11:24 Eastern time and the company’s stock receded to a nominal decline of 25 cents to $219.95 as of 2 p.m. Eastern time. Lockheed’s stock had climbed 14.32 percent from the year’s start and was up 15.80 percent as of 2 p.m. Eastern time.